We’re proud to offer a package that gives you more from your Membership in 2019, with a host of new benefits. From FREE guest passes, to FREE racedays at Uttoxeter Racecourse and exclusive use of the Pattonair Members’ Lounge, get more from your Membership this summer. Click HERE to read our Membership 2019 brochure online. We are proud to offer a package which gives you more in 2019. Join us for a great summer, with Club Membership only £179. Watch all the action from the comfort of the Pattonair Executive Lounge with cushioned seats on the balcony and private panoramic views of all the action. Get more in 2019. Under-16s can watch the entire home regular season, including the group stages of the Vitality Blast during the summer school holidays, for just £20. 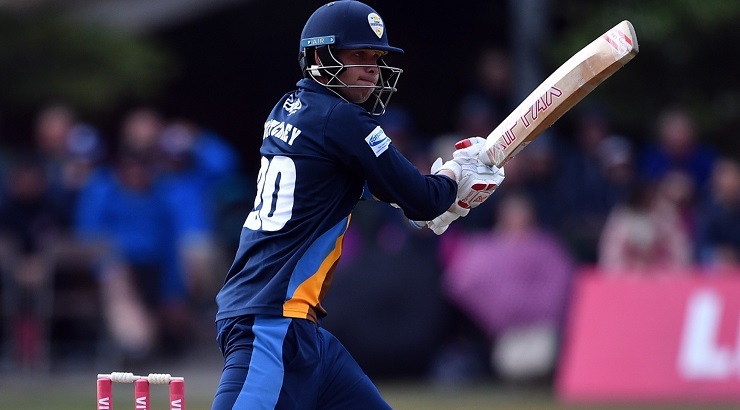 Under-21s and Students with a valid NUS or University ID card can watch the entire season, including the group stages of the Vitality Blast, for just £55. 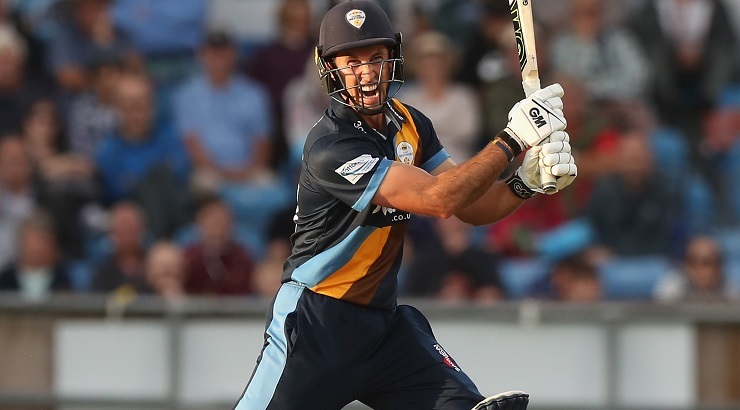 Purchase a Six Pack Ticket and watch six days of cricket – any combination of Vitality Blast, Specsavers County Championship or Royal London One-Day Cup – in 2019. 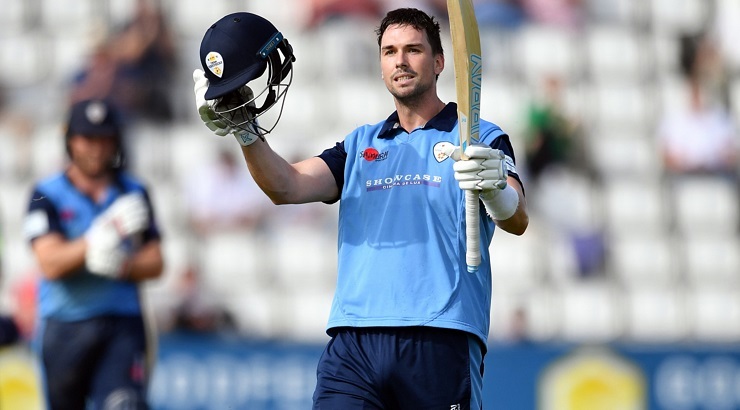 Simply arrive with your Six Pack Ticket, which will be stamped on entry, and enjoy any six days of Derbyshire cricket. 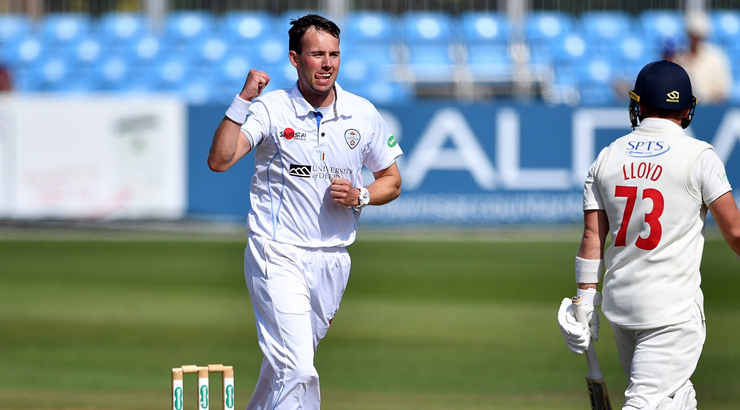 Members can purchase a car park pass which can be used at all home Derbyshire fixtures in 2019, for just £65. Parking will be available on-site. Full details to be communicated with your Car Park Pass. Get more in 2019. 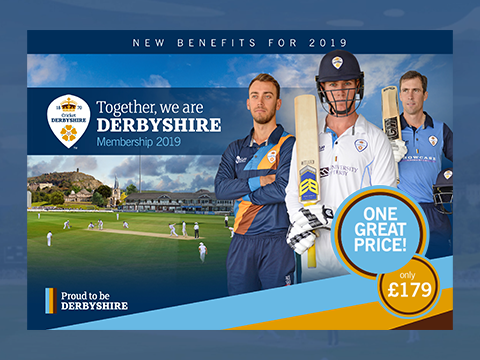 Club Membership will once again offer an exceptional value way to watch all Derbyshire home cricket, plus a host of new and exciting benefits, for only £179. Those who recruit a new Member through our Ambassador Initiative can once again claim £50 by introducing someone new to the Club. Simply get the new Member you are recruiting to complete the below form. Click HERE to read Membership Terms & Conditions. Club Membership only £179 - one great value price for all, again!